Picture it, if you will. A Saturday night at the Edinburgh Fringe, and the local lads are out in force, pints of beer in hand, living it large, wanting to have a good time. Having seen Jake Lambert last year without intending to (he stood in for Maff Brown), they liked him, which seems as good a reason as any to see him again this year: the choice for entertainment across the Fringe can really be quite overwhelming if you’re looking at the full programme, which this year stretched to over 450 pages, in a non-visually impaired friendly font. I couldn’t help but feel for Lambert, as he told the audience that he could hear the raucous crowd and wondered what on earth he, and we, were in for. He needn’t have worried: they were good people, and they were supportive people. When one of their number walked out, the rest of them reassured the fresh-faced Lambert – don’t mind him, that’s just Derek, he does that sort of thing sometimes, you’re doing a good job, if he doesn’t want to listen to what you’ve got to say then it’s his loss. Lambert, who for a moment seemed to be the Little Lost Lad the title of his show suggested, appeared palpably reassured. For someone whose set includes details of how much he dislikes small talk – he’s taken to cutting his own hair because going to a barbershop is too tortuous – he does well to, um, engage in small talk with the responsive audience. Some audiences, however, haven’t been as lovely (albeit the laddish sort of lovely) as this one. An inconsequential joke about religion has rankled certain people at previous gigs, who saw it fit to make a point of complaining about it. Coming from a strict evangelical background myself, it is no surprise to me that despite Lambert’s full and unreserved apologies for any offence caused, certain religionists fail to grasp a key principle of most, if not all faiths – that of forgiveness. All things considered, it’s hardly the provocative stuff of the likes of Daniel Sloss or Reginald D Hunter, but it’s still highly amusing. Pointedly, Lambert refuses to swear on stage, and there is thoughtful humour going on – his analysis of the ‘one in, one out’ policy being a case in point. (Understood literally, ‘one in, one out’ means that if someone wishes to leave a nightclub, someone else must first enter the venue.) Jake Lambert is a comedy talent to watch out for, but don’t just take it from me: a group of Scotsmen were impressed by an Englishman – that is high praise. A worthy and witty show. 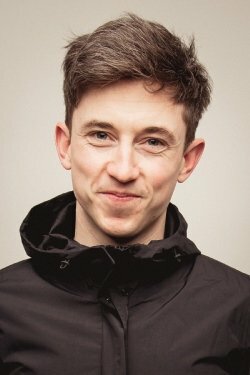 Saturated with trademark one-liners, unique perspectives, and an extremely optimistic view of the world, Little Lost Lad is the hotly anticipated debut from the 2018 Leicester Comedy Festival Best Show nominee Jake Lambert, and it tells the story of how he found himself living on his own for the first time in his life. He was happy, content, and finally had a place where people had to abide by his rules. Perfect; he couldn’t be happier. But then the real world got involved and a burglary, a nasty email from a disgruntled audience member and someone shooting his cat were just a few of the issues to disrupt his happy life. Jake has been described by a few people (including his own girlfriend) as the ‘weirdest normal person’ they’ve ever met, and considering he cuts his own hair and has the ability to recall exact dates based on the foods he’s eaten, he has to admit that they are actually onto something. But he’s here to argue, however, why he’s living his life his way, and why it’s the right way.